The Academy of Mary Immaculate is a vibrant learning community grounded in the spirit and tradition of Mercy. At the Academy young women develop a strong sense of social justice within a culture of educational endeavour and individual empowerment. The College is one of a number of secondary Colleges in Victoria owned and administered by the Sisters of Mercy. The Academy of Mary Immaculate is the oldest girls' secondary school in Victoria and we are celebrated our 154th year in 2011. The Academy has a rich co-curricular program that complements formal studies and ensures a balanced education. Students participate in extensive sports and performance opportunities, leadership development and social justice initiatives, including: choir, bands, musical performances, the visual arts, indoor/outdoor team sports, athletics, aerobics, aquatics, public speaking, debating and overseas study tours. 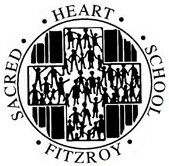 At Sacred Heart School we encourage the children to value their own uniqueness, to discover their special qualities and to respect and value the differences of others. The school prides itself on its rich cultural diversity and high quality programs. These programs expose the children to a broad variety of learning experiences which lead to personal growth and academic excellence within the Christian ethos. Eight core values – respect, acceptance, cooperation, honesty, fairness, care and support, friendliness, responsibility – underpin all relationships. Our school will strive to provide an education which reflects the contemporary society in which we live. We cater to the needs of all our children by constantly evaluating our programs and initiatives. Children are encouraged to be responsible for their actions, behaviour and learning. We accept the task of developing in our children a sense of happiness, satisfaction and achievement. We recognize we, along with the parents and community, are responsible for the schooling of our children, so that they may fully enter into the life of our Australian contemporary society, in order to become effective and productive lifelong learners.